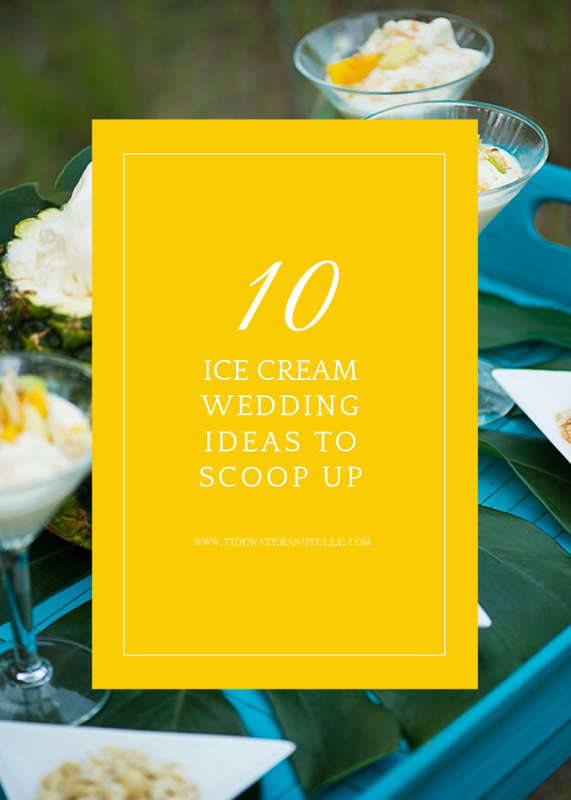 I Scream, You Scream, We All Scream for Ice Cream Wedding Ideas! There is no greater love than the love of ice cream during summertime (well, okay, maybe next to beaches and fun pool floaties, too!). 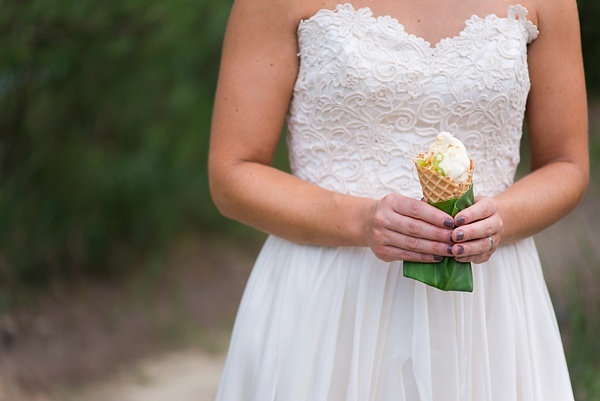 Apparently we aren't the only ones who think that because July 17th is National Ice Cream Day, so we rounded up the very best ice cream wedding ideas for you to scoop up and enjoy! And remember... everything is always better with sprinkles. 1. Modern and oh so tropical. 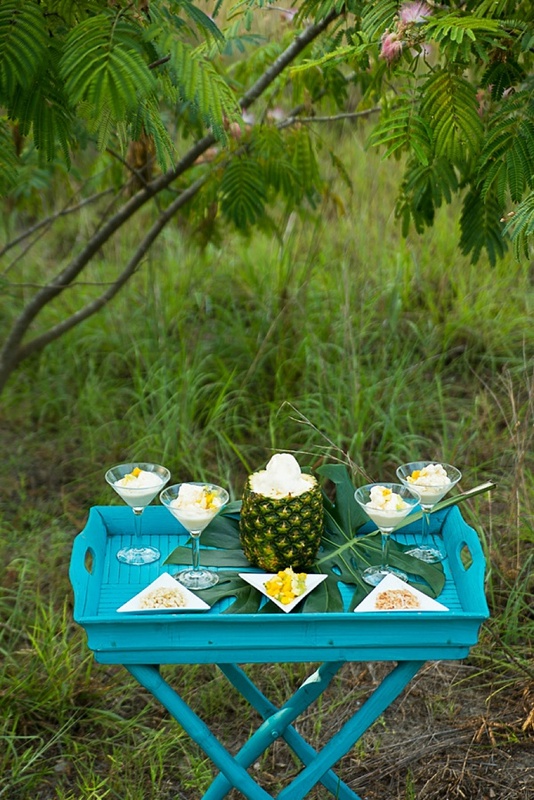 This beautiful warm-weathered wedding inspiration shoot here on Tidewater and Tulle is all about the custom pineapple ice cream bar with all the fixings like coconut, kiwis, and mangoes. Hello, most summer-flavored treat ever! 2. There's not a more playful theme than a Disney's Up themed wedding... especially when it has an ice cream sandwich bar for everyone to enjoy like this one on This Fairy Tale Life. 3. Pastels, sprinkles, and a celebration of marriage. That's what this retro candy shop anniversary session on Hey Wedding Lady is all about. The cutest little ice cream cone treats you ever did see! 4. Get ready for summertime with these adorable free ice cream cone sleeve printables on Swooned! Dress up that delicious sugar cone for a date night in or a bridal shower because why not? 5. What's more summery than red and white gingham? The cutest ice cream cart you ever did see with red and white gingham! This real wedding on Glamour and Grace will make your wedding heart smile. 6. Simple and sweet, this mint chocolate chip lovers' engagement session on Crazy Beautiful Weddings makes you nod in appreciation that we all really do have a favorite flavor, and heck yes, we should include it in life's special moments. 7. If you have a gluten allergy like a few of us on the Tidewater and Tulle Crew, then you're not likely to get to enjoy the delicious sugar cone very often... so make your own ice cream experience more fun with super cute eating accessories to put in your bowl! This colorful variety pack of stamped wooden spoons from The Sucre Shop on Etsy is one of our favorites! 8. Nothing is more classic than an ice cream float, and this fizzy pink lemonade-inspired signature cocktail idea on Bespoke Bride hits the spot! 9. Are you a molecular gastro-foodie? This chic outdoor welcome dinner here on Tidewater and Tulle features a liquid nitrogen ice cream bar made awesome with giant carved ice bowls... and it comes along with tips on how to host your own wedding weekend welcome dinner! 10. One of the best desserts ever is Eton Mess, a delicious British treat oozing with fresh strawberries and crunchy meringue... and oh my goodness, it's heaven. So this fun Eton Mess with ice cream recipe twist on B.LOVED is totally droolworthy! Photography by Caitlin Gerres Photography and styled by Sunkissed Events. See the full modern tropical wedding inspiration feature on Tidewater and Tulle. Some of the above links are affiliate-connected and purchasing through these links helps support future blog projects. You can find our full affiliate disclosure policy here on Tidewater and Tulle.